There has been an interesting discussion recently about self-found lists on Gavin Haig's blog . Clearly one of the more controversial areas of listing! Several people have entered self-found lists on BUBO Listing so it would be interesting to hear more thoughts. I've posted to Gavin's blog on this. Is it too early to say what a jolly good thing Bubo is? I've resisted trying to compile a self-found list for a few reasons, but they are mostly to do with wanting to be completely, totally, 100% happy that I cannot in any way whatsoever be accused of 'cheating' (and I use that word in the loosest possible sense). For example, I know what Punk Birders Rules state, but how could I be happy with a so-called self-found Ptarmigan? Let's face it, the only birders that are likely to REALLY find a Ptarmigan are those who bird the high tops regularly and discover a 'new' one somewhere. And maybe not even then. Perhaps it's basically impossible to find a Ptarmigan? The fact that someone else says I can count a species doesn't actually help me to feel happy with it. When it comes to rarities, I would have to actually FIND it - not be the one who put a name to it quickest, or rushed over to see what my mate was yelling about. If the only Wood Warblers I had ever seen were on well-known breeding territory somewhere, well they couldn't go on. Extrapolate that idea and Cirl Bunting becomes a non-starter for me. Where is the 'genuine surprise'? Re-finds. Tricky, but in this instance 'genuine surprise' isn't enough for me. If someone else has already found the bird, how can I honestly say that I have? I've re-found it, not found it. I suppose my basic philosophy would be this: I would never want to have to be (or to feel) defensive about why I've allowed a particular species on to my list. Having said all that, I guess the old maxim is of course true: It's Your List - Do What You Want With It. How about publishing self-found lists alphabetically?? I'll shut up now - I've already foisted enough of my hand-wringing angst on to this forum. PS. 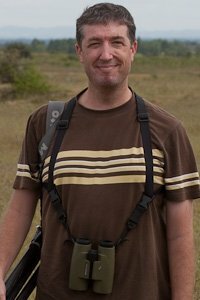 I've just noticed that Alistair has already posted, so I'll just add that I am glad someone put me on to Bubo - it's an excellent resource, and I hope more birders who keep lists will publish here. I should also add that my comments are mostly pretty tongue in cheek - there are no hidden warheads in there. Last edit: 10 years 4 months ago by Gavin Haig. personally, my self-found list is more important to me than my 'twitching' list. The reason I go out birding is to feel the thrill of finding a decent bird, and any twitching i do is for interest in the bird or sometimes simply ticking off on a list. However, there is the implication from some quarters that the self-found list is the be-all and end-all and "birder-quality" should be measured by their "finds". Of course, once you reach a certain standard, the self-found list is just a measure of location and time. When I lived in Leeds I spent a lot of time birding and self-found not-so-much, but now here in Guernsey I have a lot less free time for birding but tend to find plenty more decent birds. 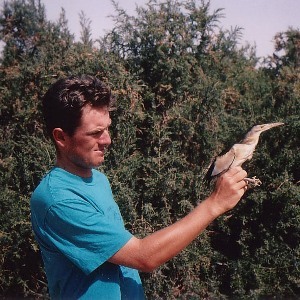 I consider locating rare/uncommon breeding birds in their breeding grounds to be fair enough for being self-found. 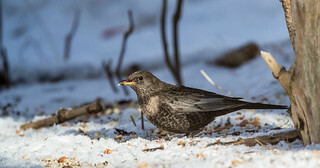 I'm never "genuinely surprised" to see a Starling but its on my self-found list. Going into Bolton Abbey Woods and seeing Wood Warblers there is ok for self-found but if you are told that one sings from tree 34 then its not. When we went up Cairngorm to look for Ptarmigan we didn't know exactly where to look and wandered round til we found one - thats good enough i reckon. Putting the lists in rank order is the correct way to go i think. The whole point of BUBO Listing is to be comparitive but not competitive. I'm not precious about my list and i don't care if people disagree thats fine. 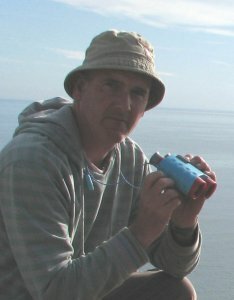 As for re-finding/re-locating birds - sounds a load of tosh to me! It'd have to fly a long way to be countable for me. Like Mark I am rather fond of my "self-found" list and although the actual number doesn't matter, and I'm never going to compete with those who are out in the field more (work does get in the way rather) or live on a useful island, it does contribute in quite a big way to my birding. I do get very excited when I add to this list - lots of expletives and jumping up and down tend to occur (however, that will not be the case for Ruddy Shelduck or Red-crested Pochard I assure you). In the past there have been a couple of experiments in relation to self-found. Briefly there was the 250 Club. Unlike the 400 Club it did not have an El Presidente ( leicesterllama.blogspot.com/ ) but it did have some rules for self-found and a self-appointed (I never voted, at least) adjudication panel. It didn't last that long but it did set a standard - 250 which was a challenge. Patchwork magazine used to run a self-found monthly points competition based on some fairly straightforward rules but Mr Vinicombe always seemed to win; I did try cheating using "bad maths" one month but was found out and relegated. The Patchwork competition included points for highest number of a species found on the patch and various other self-found complexities - this might be worth reinventing maybe. It would be much easier to operate on the web. 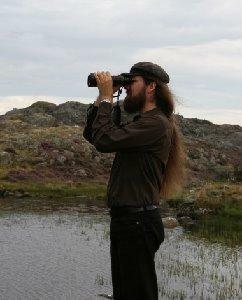 The whole idea was to encourage local birding and concentrating on a patch. In terms of ordering lists I'd prefer the number to be used, an option to order alphabetically as well might be nice. I don't see any harm in examining the lists with some scrutiny as long as no one takes it too seriously. The Bubo system will sometimes expose those whose criteria are perhaps a little lax. But its about honesty and integrity to ones self isn't it? The list needs to meet your own criteria although something close to PunkBirder works for me (with a little variation) and if my arm were twisted up my back I would delete a couple of species and comply. A nice feature would be an ability to put notes in to species you haven't actually ticked, a sort of near misses list. I would like to do that on the full twitch list as well - the stories of misses are often just as interesting, sometimes more so, than the success stories. Ah well, pressure being applied, better sign off before dragged off. Rules for listing variants should be concise yet take in all factors. For so-called self-found birds everything from one line to manuals have been formulated, with the all too familiar results that, like many other lists, they are not comparable. Having put to paper a set of easy rules back in the mid-1990s, and this being published in 2000, I have still to see an equivalent (all post-2000) that doesn´t go softer (i.e. want to count more birds). In Scandinavia these ticks are called “edelkryss”, this means “noble ticks”, and by this further thighten the requirements, i.e. being self-found is not enough, the whole idea is to have the two main lists most people keep (full and self-found) to differ. Why have two not-so-different lists? 1. One has to discover the bird oneself (undisputable basic rule). 2. One has to correctly identify the bird. 3. One has to be unaware of the bird´s presence. 3.1 As for breeding species with a restricted distribution, the condition that the bird is not a certain, known individual has to apply. 4. The record (seen or heard) will have to stem from natural circumstances: birds found trapped by the use of mist-nets or otherwise, and also birds that materialize with the aid of artificial lures, fall outside this given scope. 5. Only species that have occurred in an apparently natural state can be counted (Categories A and B according to AERC/BOURC). 6. One has to be able to refer to accepted records of species considered by the local or national rare birds committee.